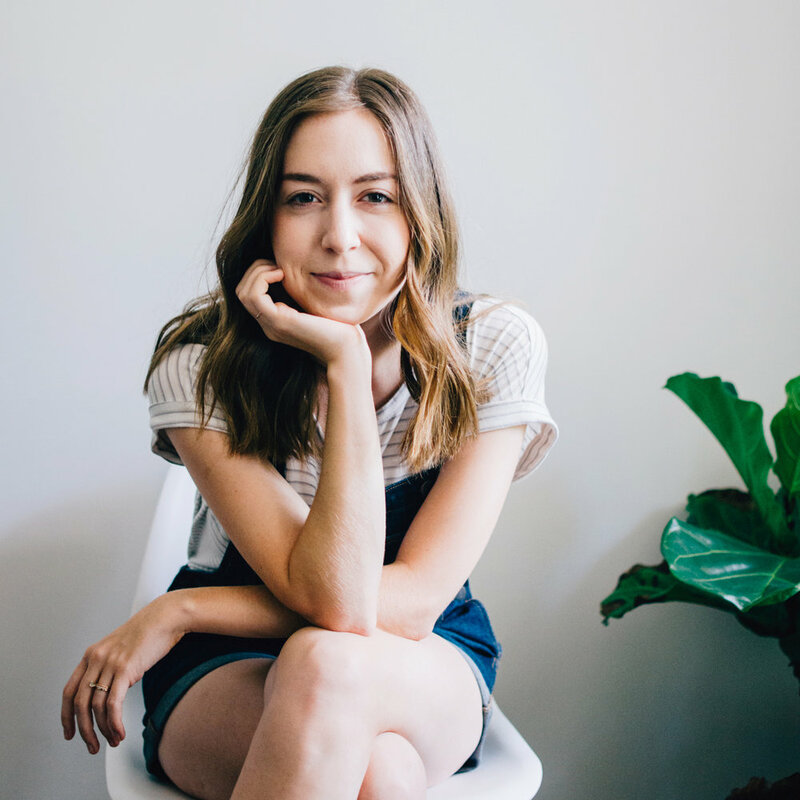 Next up in our Small Business Stories series – featuring creative business owners we admire and celebrate – is Margot + Co, a simple and joyful design studio run by a gal just as joyful. And she lets us in on what led her into the design world and how her business has adapted through the years. Margot seems to always be oozing playful and giddy joy, even as her life takes some crazy turns all at once! She finds the good in it and has created a lovely word search book to help others rest and find joy as well – Fields of Green. Without further ado... Meet Margot. Oh my goodness, this is hilarious because SOO much has changed for me in the past few months that I can't even keep up with my own deal. So here we go! I like plants and earl grey tea and nike sneakers and cuddling up on the couch (that hasn't changed). My husband and I are expecting a baby girl in May so my belly is getting bigger by the second. We recently moved from our sweet home in Nashville (we love Nashville forever!) to rural and beautiful Lancaster, PA to be near all of our family for when baby girl arrives. This past year I created a word search book called Fields of Green that I'm super proud of (more on this later). I went to Belmont University in Nashville (go Bruins! ), I spend all of my money on home decor at Target and Marshalls, I support athleisure and neutral wearing, and I LOVE all things design. Oh, and I run a little company called Margot + Co. I interned in several graphic design departments during college and ran into the frustration of designing things that were not my style. At all. I was also doing some freelance projects during the time and realized I could have so much more say in the the aesthetic of the projects that I picked on my own vs. the ones I was assigned. I’m a naturally independent and introverted person so it started to make all of the sense in the world for me to start my own company and work for myself. After graduating I took on lots of freelance projects, and then about a year later I made it official and created Margot + Co.
Oh my goodness. Yes, I think so, but the vision has definitely evolved along the way! I started out doing client work for clients of all types and selling prints. I slowly fine-tuned who my ideal client was, what my brand style looked like and began attracting clients more like me. And then I began pouring into Instagram a bit more, creating content, giveaways, and starting some collaborations with other creatives. This past year I ventured into my first self-project, a word search book called Fields of Green, and now I’m sharing, selling and shipping the book multiple times a week. I still do some client work, but my company is a bit more well rounded now and I love that. I love that I can pivot each season as my inspiration changes and challenge myself in new areas. I wish someone told me that the best projects come naturally, because they really have! It’s hard to describe, but there’s this natural rhythm that takes care of itself when it comes to work. Just when I’m finishing a project I’ll start getting inquiries about new opportunities. Often times it’s been really fluid and obvious which projects I should take on. I’ve been really blessed in that way. So I’d tell myself to have a little faith and don’t force it, because the best opportunities come as sweet surprises. The other thing I would add is that you can figure almost anything out as you go. You don’t have to wait to start until you’re an expert. Google is your best friend. Just get started and you’ll learn along the way! I think the most frustrating part for me is when people don’t understand that even creative work is work. It’s a real job with great parts and hard parts and hours to put in. Even though I work from home, I do work. I really respect fellow creatives for the path they have to carve out for themselves in the world and the challenge of trying to validate your job to people who don’t quite understand. It takes guts and vision and risk and determination, and these people are inspiring beautiful things in the world. That’s super admirable to me. Oh definitely nature! I LOVE the colors of the mountains on a misty day, or the hues of the ocean. Don’t even get me started on plants, man oh man. Nature has the best color palates and textures. Success to me is finding the freedom to live my days the way I choose to live them. In all of the small ways and big ways. It feels successful to me to have a say in my work. To choose my hours, clients, pricing, etc. and have authority in how my weeks play out. I get to wake up in the morning and decide how many emails I can answer, what kind of outfit I want to wear (leggings and pj’s included), what kind of people I want to work with, where I want to work and so much more. That’s so good for my soul. The healthiest thing for me has been the flexibility to take time off when I need a break. I can take care of myself and my family so much better and then dive in to work so much more efficiently when I’m well rested. That’s HUGE for me and feels like a major win. My dream, and idea of success, is not to start a multi-million dollar creative company, but instead to live freely and do beautiful work while being the healthiest version of myself. tell us about fields of green! Yes! I want to tell you about my latest project! (And give you a discount code, because I think this would look precious on your nightstand.) This past year I created a pretty version of a word search book called Fields of Green. It has a linen-bound cover and 60 word searches featuring quotes + scripture on rest. It's made to provide a sweet space to slow down and unplug when life gets busy. If it sounds good to you to brew some tea and sit in a window seat, this book is your perfect companion. It is meant to slow you down in the good way, because we all need a little rest. Amen? Amen. Go to fieldsofgreenbook.com to get yours and use the discount code GREEN15 for 15% off your order! Follow along at @margot.and.co on Instagram for the latest with me, including when baby girl comes! I love getting to connect on Insta, so feel free to shoot me a comment or DM! To see my design work, visit margot-co.com and to check out Fields of Green the word search book go to fieldsofgreenbook.com or #fieldsofgreenthebook on Instagram.